Scooby is an exceptional example of the working variety of the breed. He is a formally trained and certified Search and Rescue Dog and holds several hunting and field work titles. Scooby is a very outgoing, spirited and feisty dog, a true terrier with a very high work and prey drive. He is a wonderful, intelligent, active pet, an affectionate lap dog and snuggler. Scooby is a go-getter guy who loves an challenge and is always up for an adventure. As he requires quite a bit of daily exercise, family interaction and play time, and both mentally and physically stimulating activities, he certainly keeps us on our toes! Enjoying learning new ideas and often inventing games and activities on his own, Scooby has a lot personality and those who have met him never forget him. He is very protective and takes his job of guarding his home and family very seriously! He is currently in training to become a mold detection dog through Mold Response Team. We have owned and have bred dogs with conformation, obedience, agility and tracking titles, that perform in the field, and, most importantly, working service dogs and loving companions. We breed only once every year or two. Our dogs are first and foremost our much loved family companions, and their health, happiness and welfare is our primary concern. We are active in the dog community, show and work with our dogs regularly. Our puppies are placed with families after a lengthy process of conversation, meeting if possible (we really prefer to meet families in person), and generally spending enough time getting to know each other and determining if any puppy we may have available is suited to a family.We firmly believe that each dog, breeding or pet, is foremost a family companion. Our dogs are loved housepets, and we would never place a puppy with a family who would not intend to keep him or her as a beloved family member. We are always here as a safety net for our puppies for their entire lives and require that our puppies are returned to us immediately if the family we have agreed to place them with can no longer keep the puppy. Most breeders will take back their puppies (many insist on it), so please contact your breeder first. 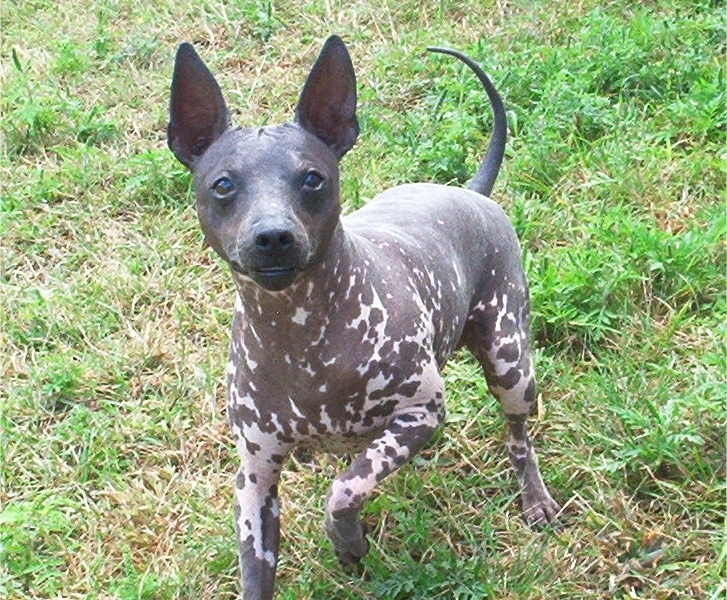 If you still require help, please contact the Canadian Hairless Terrier Association AHT Rescue. We are very active in dog rescue, and will always help any AHT in need when we can. We are also on the Board Directors for and are founding members of Rat Terrier Rescue Canada, a non-profit charitable organization devoted to rescuing and rehabilitating Rat Terriers and Rat Terrier mixes in need. We volunteer with RTRC rescuing, fostering and rehabilitating Rat Terriers and other small dogs, and work towards promoting and educating the public about animal rescue and responsible animal care. Our dogs are healthy and sound. All puppies at Valley AHTs get the very best start in life, with daily handling and socializing with people and other dogs. Puppies are given the first two sets of vaccinations and a full treatment of deworming, and are vet checked prior to leaving our home. We provide a full pedigree and genetic background of our dogs. We prefer families to come and meet the parents of the puppies, and visit the puppies as they grow up. Our puppies stay here until 10 weeks old at a minimum. It is very important for puppies to spend that time with their mother and father, and learn the complex social interactions of dogs. We intensely socialise our puppies as they grow up with people, children, other dogs, strange objects, noises, and any and everything they might encounter as they grow. The puppy's family must take over this social and training work and continue the process as intensely as the puppy grows to adulthood. Classes are highly recommended both as a bonding tool and a social event for both the puppy and the family!